NEW YORK (AP) – Matt Senk and his frustrated Stony Brook Seawolves were home at this time a year ago, thinking about what should have been. After setting the school record with 42 victories and breezing through the regular season, a second straight trip to the NCAA tournament seemed a lock. But the Seawolves lost in the America East conference tournament and were denied a few days later of an at-large berth for the field of 64 teams. “That was definitely a big letdown for us,” senior right-hander Tyler Johnson said. Fueled in part by that stunning end to its season, Stony Brook came back this year and left nothing to chance. Mission accomplished, and then some. Stony Brook one-upped last year’s squad by going 46-11, leading the nation with an .807 winning percentage, winning the America East tournament and earning an automatic spot in the NCAA tournament. The Seawolves are in Coral Gables, Fla., set to open up Friday against host Miami (36-21). It’s the second time the schools are meeting on the diamond, with the last being a 9-8 victory by Miami in 2003, when the Hurricanes’ Ryan Braun – last year’s NL MVP – hit a walk-off single in the 10th inning. While Stony Brook is the No. 4 seed in a regional that also includes Central Florida (43-15) and Missouri State (39-20), the Seawolves are hardly an overmatched underdog. They enter the tournament having won 11 straight and 22 of their last 23. And, the Seawolves have shown they can be a tough out. In 2010, they got the first NCAA tournament victory in program history by beating North Carolina State before being eliminated by Coastal Carolina. Stony Brook was more of a nice, feel-good story back then, a Northeast-based school taking on the big boys. Now, the Seawolves are truly one of the big boys themselves, ranked in the top 30 in a few national polls. Some thought Stony Brook was even deserving of a No. 3 seed in the NCAA tournament instead of a No. 4. Senk has done an outstanding job, particularly in the last 10 years, in elevating the program to national prominence – helped by an increased focus on baseball by the school and athletic director Jim Fiore. Late last season, the Seawolves broke in their slick new ballpark, Joe Nathan Field – named after the Texas Rangers reliever who was a star shortstop at Stony Brook. Back when Nathan was there in the early 1990s, the athletic programs were Division III and the teams were called the Patriots. Nathan has followed his alma mater since it made its first NCAA tournament appearance in 2004 and nearly pulled off an upset of host Arizona State in 2008 before getting that first win two years ago. The Seawolves are loaded with talent, starting at the top of the lineup with Jankowski, who’s hitting .411 with four homers, 40 RBIs and 34 stolen bases. The America East player of the year is a possible first-round draft pick next week who ranks among the national leaders in several offensive categories. Jankowski is followed in the lineup by catcher Pat Cantwell (.306, 1, 27), an outstanding situational hitter. Third baseman Willie Carmona (.380, 10, 60) bats third and was the conference player of the year last season. Next is second baseman Maxx Tissenbaum (.400, 3, 41), who has struck out just four times in 200 at-bats. The rotation is led by the solid 1-2 punch of Johnson (9-1, 1.78), the America East pitcher of the year who holds the school record with 33 career victories, and sophomore righty Brandon McNitt (8-2, 2.26). Senior right-hander Evan Stecko-Haley (7-3, 3.08), junior righty James Campbell (5-0, 3.09, two saves) and closer Frankie Vanderka (1-2, 2.22, five saves) provide pitching depth, a necessity to succeed in the NCAA tournament. Seawolves headed to third regional in the last five seasons. 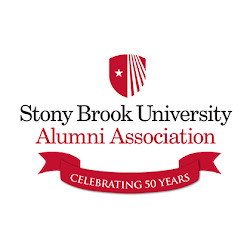 Stony Brook, N.Y. – Fresh off its second America East championship in the last three seasons, the Stony Brook baseball team found out on Monday that it is headed to the Coral Gables Regional this weekend to compete in the 2012 NCAA Division I Baseball Championship. Seeded No. 4 in the regional, the Seawolves will take on top seed and host Miami in its first game on Friday at 7 p.m. at Alex Rodriguez Park at Mark Light Field. Joining the Seawolves and Hurricanes in the Coral Gables Regional is No. 2 Central Florida (43-15) and No. 3 Missouri State (39-20). Stony Brook (46-11) has the top winning percentage in Division I (.807) and has won 11 straight and 22 of 23. Ranked No. 30 in the latest NCBWA poll. The Seawolves will be making their fourth all-time regional appearance and third in the last five years. No. 21 Miami (36-21) is making its record 40th straight regional appearance and is coming off an 8-5 loss to Georgia Tech in the ACC title game on Sunday. The Hurricanes are led by a pitching staff that ranked 12th in the nation in the country with a 2.96 ERA entering last week. This will be the second all-time meeting between Miami and Stony Brook. The first took place on March 19, 2003 when then freshman and future National League MVP Ryan Braun hit a walk-off single in the 10th inning to lift the Hurricanes to a 9-8 victory over the Seawolves. Friday, June 1 Game 1: UCF vs. Missouri State at 2 p.m.
Game 2: Stony Brook vs. Miami at 7 p.m.
Saturday, June 2 Game 3: Loser of Game 1 vs. Loser of Game 2 at 2 p.m.
Game 4: Winner of Game 1 vs. Winner of Game 2 at 7 p.m.
Sunday, June 3 Game 5: Loser of Game 4 vs. Winner of Game 3 at 2 p.m.
Game 6: Winner of Game 4 vs. Winner of Game 5 at 7 p.m.
Monday, June 4 (if necessary) Game 7: Winner of Game 6 vs. Loser of Game 6 at 7 p.m.